One of the initiatives to raise funds, is the so called “Swim to fight cancer” events. This year, this event will take place in Maastricht on August 26th. On August 26th, hundreds of swimmers will be swimming a distance of approximately 2 kilometers in the Maas canal of Maastricht. 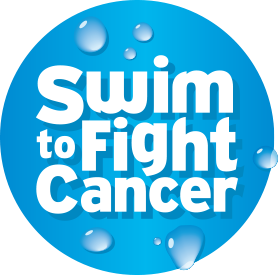 By battling against the water, all swimmers will hopefully collect as much money as possible for the battle against cancer. You can register via this website. This is done by means of webforms in Dutch. If Dutch is a problem, please contact us by email or phone. We will ensure that you will be registered accordingly, either on an individual basis or as member of a business team. And we will be more than happy to inform you about the terms and conditions (among others, a wetsuit is mandatory) and what you will get in return for your registration fee. Participation as a business team, with a maximum number of 4 team members. Fight cancer is a foundation that campaigns for funds for cancer research and prevention through KWF Kankerbestrijding (Dutch Cancer Society). The aim of the swim events is to collect as much money as possible for fellowships. A fellowship is a personal bursary for talented young doctors and researchers whom are expected to play an important role in cancer research in the Netherlands in the upcoming years. By means of a fellowship (a subsidy) they are able to acquire knowledge and skills in oncology at the highest level. In this way, they can not only enhance their own knowledge and skills, but also those of their fellow doctors and researchers in the Netherlands. Using the money that Fight cancer collects, the fellowship holders are able to collect and disseminate greater knowledge of cancer and apply it in practice.